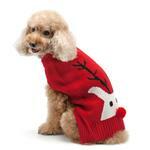 The holidays never looked cuter than with the Red Nose Reindeer Dog Sweater by Dogo - Red! 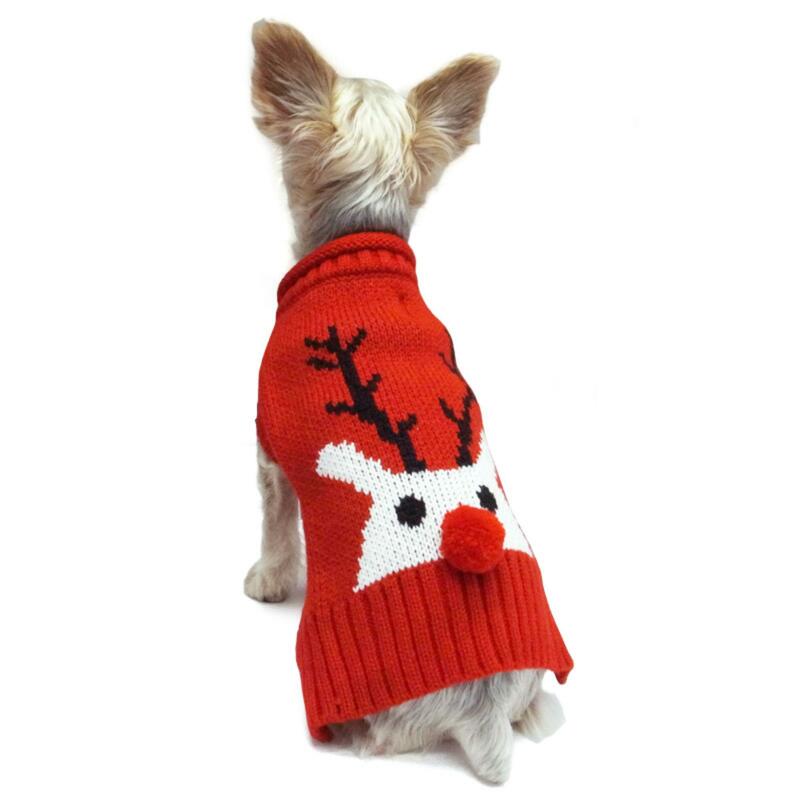 The Red Nose Reindeer Dog Sweater by Dogo - Red is the most adorable way to celebrate the holidays with your reindeer pooch! 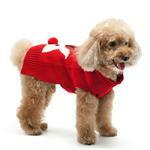 The sweater keeps your festive pup warm and stylish for all holiday events. 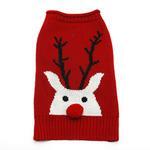 The cute reindeer design is completed with a fun red nose pompom on the back. Happy holidays! 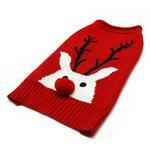 Red Nose Reindeer Dog Sweater by Dogo - Red Customer Photos - Send us your photo! 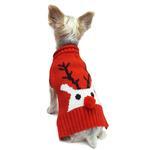 Lilyana is a Bichon/Maltese, 8-9 y/o female rescue. Very sweet & gentle.